Many pet owners will be alerted to an approaching storm through the unusual behaviour exhibited by their loyal cats or dogs rather than a news bulletin or weather website. 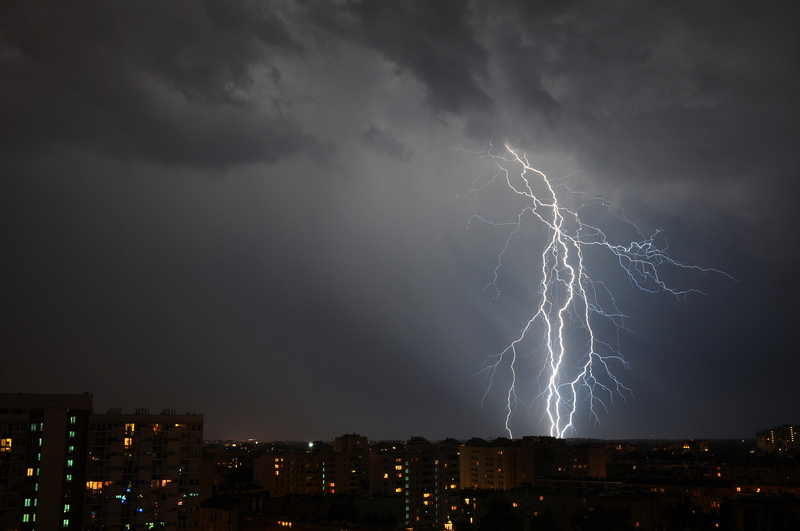 While not much is known to date about their so-called “sixth sense”, what is certain is that these behaviours are indicative of how terrifying thunderstorms and lightning can be to them. Dogs can hear four times better than humans and instinctively react to loud and sudden sounds by running away and/or seeking refuge; while storms can arouse anxiety in cats as they too seek the quietest and darkest place to hide. Lost Dogs’ Home Frank Samways Veterinary Clinic, Dr Caroline Cook who helps treat distressed dogs following storms said pet owners should be aware of the signs distressed animals exhibit. “Many dogs will have fear responses to loud sounds. They may run under the bed or jump into your lap to seek refuge. Fear however, is very distinct from phobia which can be characterised by an out of proportion reaction to thunderstorms. Ms Cook said dogs with a phobia often created a lot of destruction trying to escape from or trying to get into their home. With many Melbournians taking to sky gazing last night as thunderstorms rolled over north-western suburbs for over two hours and more predicted this evening and tomorrow, The Lost Dogs’ Home is calling on all pet owners to be mindful of their cats and dogs. The Lost Dogs’ Home general manager of shelter operations, Sue Conroy said the forecast was bad news for our pets, especially dogs and was crucial pet owners do their best to keep their pets safe and comfortable during the storms. If you are concerned your pet has a phobia to loud and sudden noises or for further information, speak to your vet or make an appointment at the Frank Samways Veterinary Clinic. Always make sure your pets are identified with a microchip and collar tag. It is also paramount your contact details are up-to-date, so that if they go missing, you will be reunited. Always stay calm during a storm and go about your activities as normal. Your pet will take its cues from you. If a storm is predicted, take your dog for a longer walk before it hits to help tire out and relax them. Provide your cat or dog with a safe space to retreat to, for example, a crate or their bed. Consider using a number of means to de-sensitise pets to storms, such as playing a CD with the storm sounds. If you know your dog or cat is fearful during thunderstorms and fireworks and is at real risk of fleeing, the very best thing you can do for them is to stay home. Signs of fear: your pet may seek refuge by running under the bed, or onto your lap. Signs of a phobia: out of proportion reaction to a stimulus, they tend to react out of proportion, pace, pant, whining, trying to escape, often create a lot of destruction like breaking down a door.